Have y’all heard of PIRCH? The home fixture showroom. It’s absolutely amazing. All the high end appliances that we could never afford are represented there. Miele, Viking, Wolf. Need a $3500 toilet? They have them. And I know what you’re thinking, “For $3500 that thing better wipe my……..” And the answer is, yes. Yes it does wipe your….. They have a sweet little cappuccino bar, with complimentary drinks while you shop. Told ya this place was ritzy. I stop in occasionally for inspiration on that bathroom remodel (If I haven’t mentioned it, we’re currently remodeling our master bathroom)….and also to enjoy a refreshing, and free, beverage. 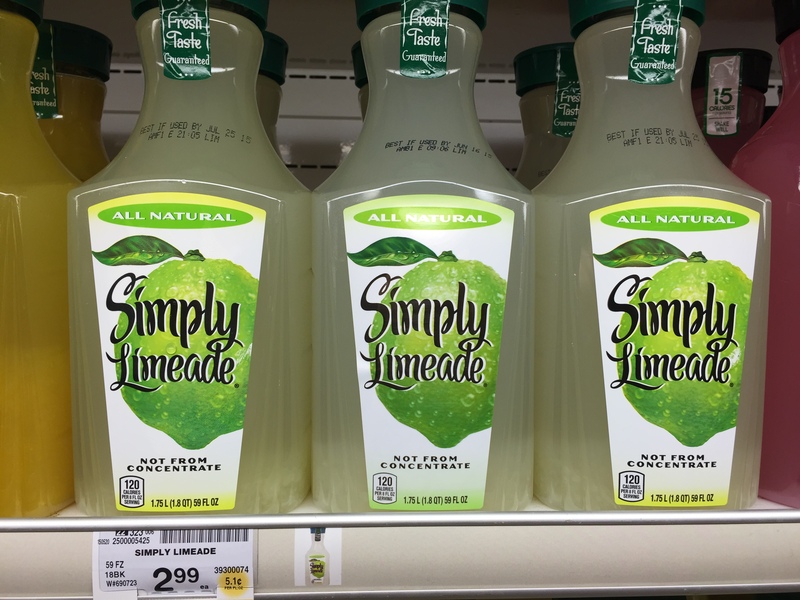 Like the infused limeade. 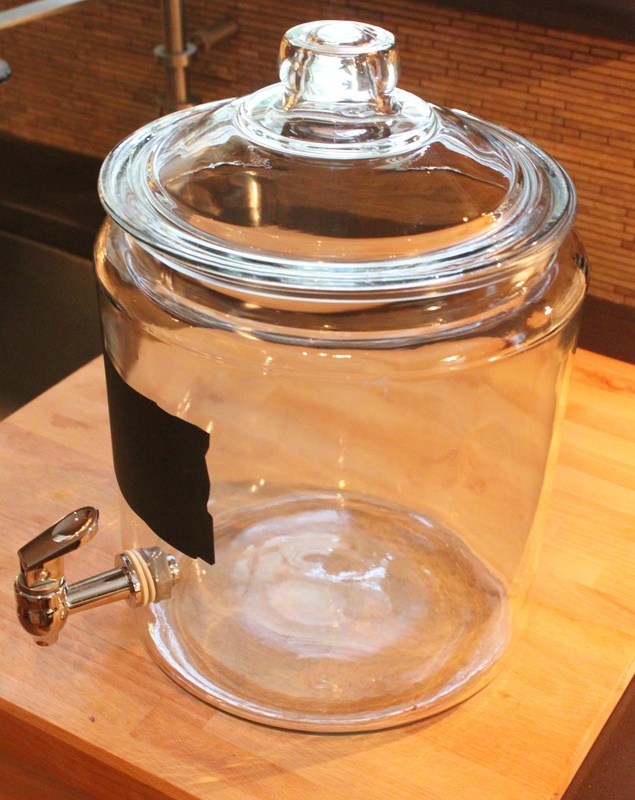 When we were given this Biscotti jar with a spout for Christmas…….I knew immediately what was going in it. To be honest here. 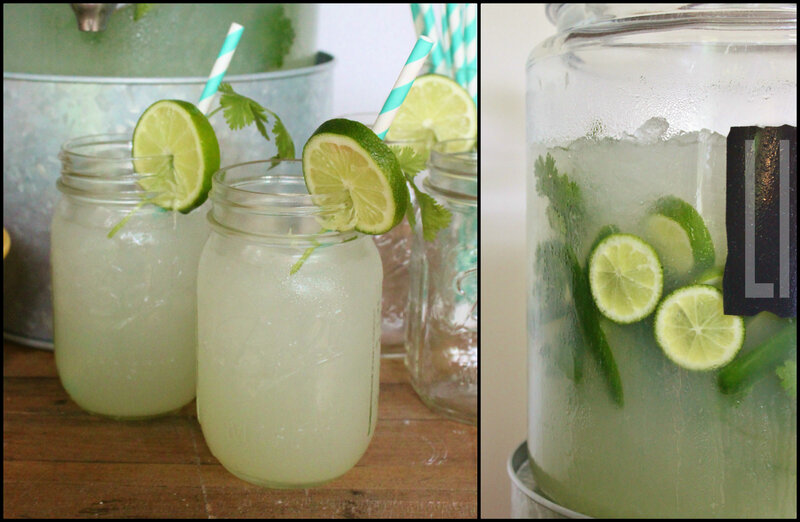 I really thought about making limeade from scratch. 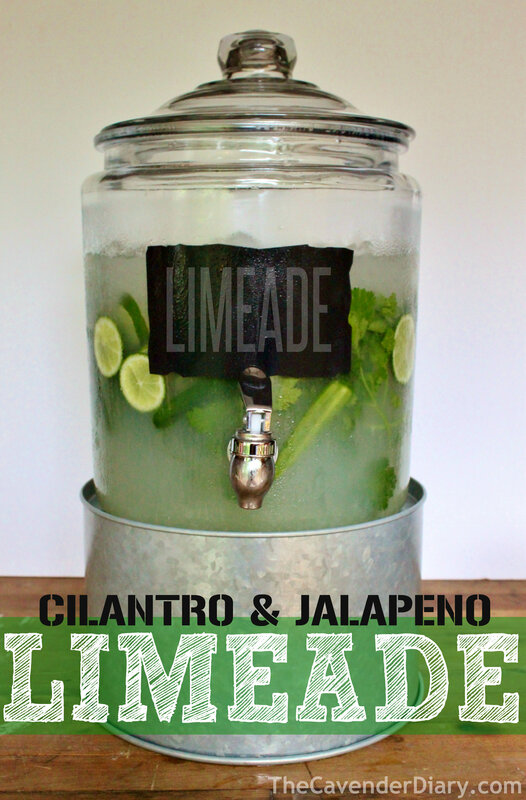 You know, with a jalapeno-flavored simple syrup and hand juicing about 80 limes…..(insert huge eye roll) So glad that impulse passed. …and I don’t regret a minute of it either. 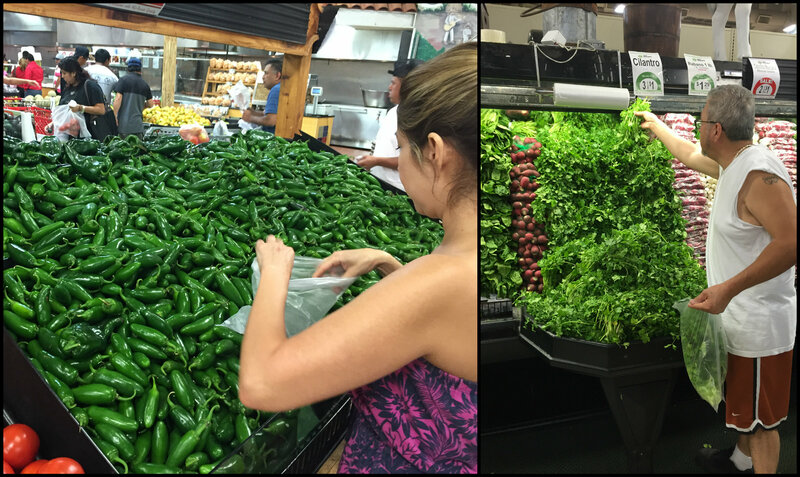 If you don’t have a Mexican grocery store in your neighborhood, you are seriously missing out on some great produce. Cheap. Look at all those jalapenos. Our usual grocery store normally has about 10 to choose from. Total. I got a dozen jalapenos, 10 limes and a bundle of cilantro for under 2 bucks. I sliced the jalapenos into quarters and removed the seeds and bitter white pith. 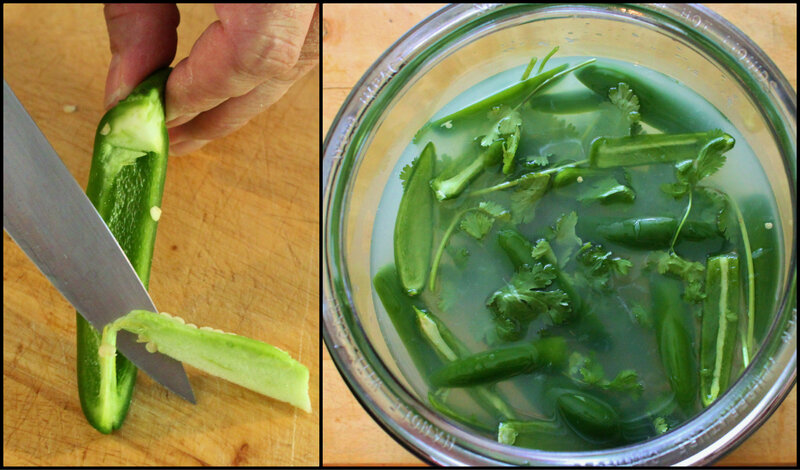 Then tossed them into the jar of limeade with a handful of washed cilantro. 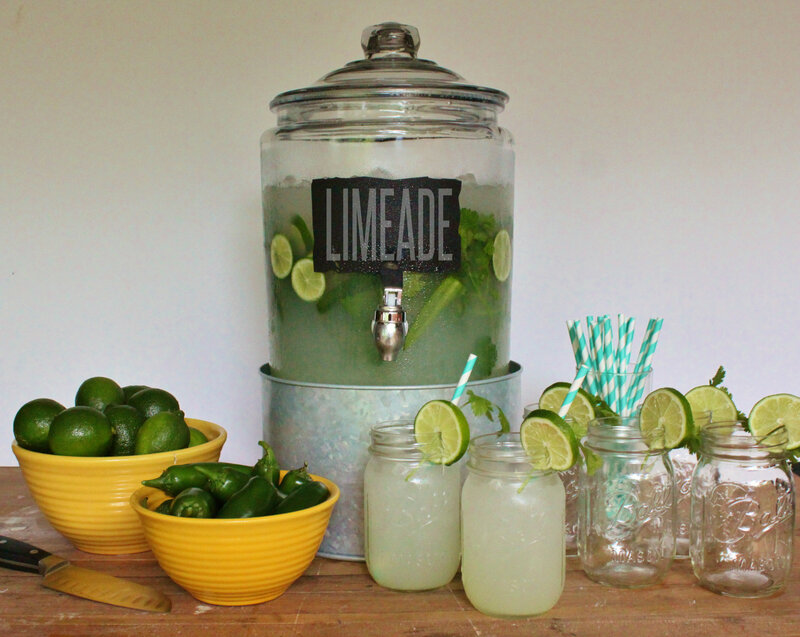 Oh yeah, and a few sliced limes too…..just for looks. I let the mix seep for a while……maybe and hour, then added about half a bag of Sonic ice to cool it down. 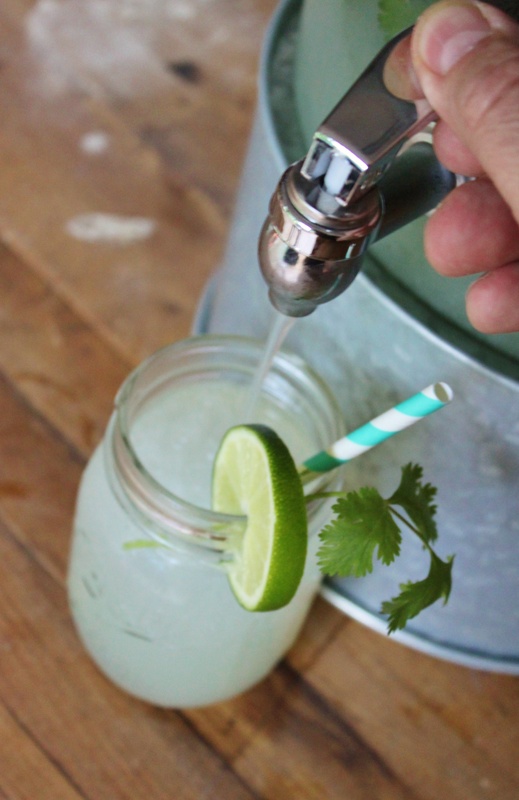 I garnished the glasses with a lime wedge and a sprig of cilantro. The jalapeno adds just a slight flavor, without any real heat. And the cilantro, a certain “crispness”. Or stop in Pirch and drink it for free…….your choice. Stacey, it is delicious……and if you wanted to add a “splash” of tequila……no one will blame you. Yum! That looks so delicious. I had cilantro growing for a while but it already bolted. I can’t seem to grow it here in the Dallas area. Putting this on my must try list for the summer! Thanks for the recipe. Well I must try this. I usually test recipes out with my co-workers. Minus the vodka I think is calling!